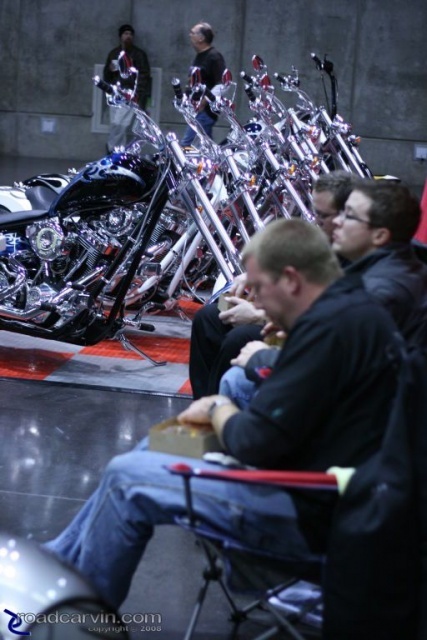 Booth workers chow down on lunch at the 2008 Easyriders Show in Sacramento. In the background: a row of Harley-Davidson custom bikes. Submitted by Michael Curry on January 26, 2008 - 9:32pm.